Home → Hot Topics → Did You Know: Propane Is Used on 660,000 U.S. Farms? Propane fuel is the nation’s most common liquefied petroleum gas. That’s because it’s an extremely versatile energy source. Approximately 90% of the United States’ propane supply is produced domestically, while 70% of the remaining supply is imported from Mexico and Canada. Approximately equal amounts of propane come from the refining of crude oil and from natural gas processing. Propane fuel is a readily available and secure source of energy whose environmental benefits continue to be widely recognized. Here are some propane facts that you may not have previously been aware of. First, propane uses on the farm are some of the most versatile. Propane can be used for crop drying, fruit ripening, space heating, refrigeration, flame cultivation, and operation of various farm engines including irrigation pumps, tractors, generators, and weeders. Aside from farming, propane energy is used by approximately 60 million people in the United States. In fact, it’s the most widely used source of alternative fuel. An estimated 4 million vehicles worldwide are running on propane fuel, and 350,000 of those vehicles are being driven here in the United States, according to the U.S. Department of Energy’s Alternative Fuels Data Center. 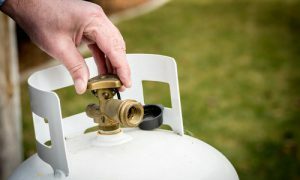 When it comes to recreational activities, propane is used by countless travelers and vacationers in recreational vehicles and for camping uses including gas grills, generators, and outdoor gas lights. Additionally, millions of people are already utilizing propane to fuel heaters for pools, patios, whirlpools and saunas. Industrially, there are numerous businesses and commercial establishments that take advantage of all the benefits propane energy has to offer. Over 1 million hotels, laundromats, restaurants, and production factories use propane, many times the same way a homeowner does — for heating and cooling air, water, cooking, barbecuing, drying clothes, refrigeration, lighting, and more. Industrial factories also use it for space heating, soldering, cutting, annealing, vulcanizing, and more. Overall, propane is an extremely useful and versatile form of energy. Its invention can be traced back to 1910 in Pittsburgh to a man named Dr. Walter Snelling. It has only continued to rise in popularity since its discovery, and for good reason — it has countless uses. From farming to residential and industrial uses, propane has something to offer for everyone.